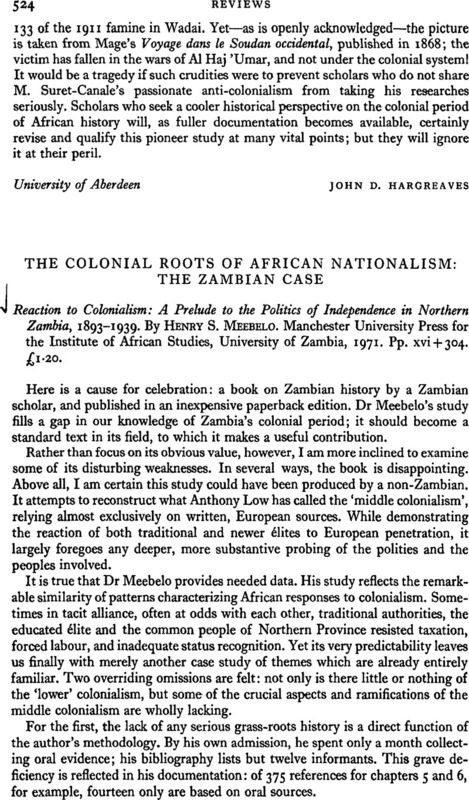 The Colonial Roots of African Nationalism: the Zambian Case - Reaction to Colonialism: A Prelude to the Politics of Independence in Northern Zambia, 1893–1939. By Henry S. Meebelo. Manchester University Press for the Institute of African Studies, University of Zambia, 1971. Pp. xvi + 304. £1.20.